As you probably now the vSphere Fault Tolerance features has been unchanged from the first version (in vSphere 4.x)… untill now. With vSphere 6.0, recently announced, there is a new Multi-Processor FT (SMP-FT) features that replace the previous one and brings now continuous availability protection for VMs with up to 4 vCPUs! It’s not something news in the virtual environments… several years ago Marathon announced the everRun MX, that was the first solution, but only for Citrix XenServer. Initial plans of this producs expect also a vSphere version, but the company was then acquired by Stratus Technologies and everRun MX is now a Windows oriented solution. But let’s see the new version of VMware vSphere 6.0 Fault Tolerance. Note that there are some difference between the vSphere editions: according with the comparison table, only the Enterprise Plus edition will support really 4 vCPU. For Standard and Enterprise there will a 2 vCPU VMware FT.
FT “6.0” is completly different from FT “1.0”: different implementation, different architecture, different requirements and of course different features. Note that FT will be totally new, but the UI interface remain the same intuitive of version 1.0, with same menu and same logic… so you can enable FT on a VM in few seconds (of course if you have already prepared the infrastruture for it). In previous version FT was using a VMware vLockstep technology to keep the secondary VM in “virtual lockstep” with the primary one. The secondary executes the same instruction stream as primary and replays events at exact point logged on primary. Now a new technology is used called Fast Checkpointing that is very fast and permit continuous copying/checkpointing of the VM. FT VMs can now be backed up using VMware based backup software, the same as all other VMs (FT VMs could always be backed up using agents). They are backed up using snapshots through standard API (VADP). Those API are using VM snapshots in order to make the backup possible with the VM still running. But note that this does not mean that you can now take a snapshots of FT protected VMs: snapshots are not user-configurable – users can’t take snapshots. It is only supported as part of VADP. It’s all nice and perfect? For sure it is a big improvement, but has some implications due to the new technologies. First FT is more resource intensive: of course the more vCPU that you are supporting with FT will increase resource requirements. There wil be also a 10-­30% overhead depending of the type workload. And the storage replication imply that also bandwidth will increase with duplicate IOPs. The new requiment is now 10 Gbps NIC allocated for FT (actually, in the beta was possible use also with 1 Gbps NIC, with a compatibility warning, but of course will be not supported). 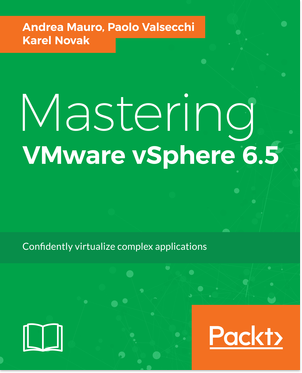 Due to the new architecture will be not possible use a shared storage and avoid VMDK replication… you can use a shared storage, but in this case you will double the required space of your VM. Of course, there are also some limits on number of VMs per host: maximum 4 FT protected VMs or 8 FT protected vCPUs (whichever limit is reached first). Note both of these maximums include primary and secondary VMs/vCPUs. And remember that FT is still an HA solution that protect from host failure… it cannot protect from application or guest OS fail (like, for example, using guest clustering). VMware will recommending the new FT for vCenter Servers, or at least add it as supported HA solution? Initially no, but not for technical limitations, jsut because has not yet tested enough. Seems that SMP-FT will be supported for vCenter Server for some use cases. The exact details are still being finalized when the downloads becoming available. vSphere 6.0 blog – Fault Tolerance. #1 | Written by Marc Crawford about 4 years ago. #2 | Written by Mike Medrano about 4 years ago. 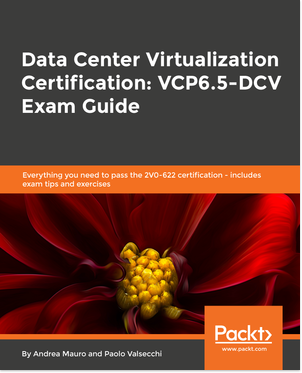 Good: Fast Checkpointing, very fast and permit continuous copying/checkpointing of the VM. Bad: Fast Checkpointing, not possible to use a shared storage and avoid VMDK replication. #3 | Written by Andrea Mauro about 4 years ago. #4 | Written by Yuri Mendoza about 4 years ago. I think that is a really improvement. Now FT has more compatibility, but the use cases are rather limited. Again is nice to know that we can have some very important VMs on fault tolerance. #5 | Written by Zsolt Pamuki about 4 years ago. The improved virtual disk format support is great. Nice to have stuff but I think it could be too much overhead. #6 | Written by ScoZel about 4 years ago. This is definitely moving in the right direction. It opens up more use case possibilities. #7 | Written by C McLaren about 4 years ago. Proper Real-time DR is always welcome ! #8 | Written by Alex about 4 years ago. This is a feature many admins have been waiting for. Great write-up. #9 | Written by Wojciech Marusiak about 4 years ago. Really great improvements from VMware with new FT.
#10 | Written by Mohamed Ibrahem about 4 years ago. #11 | Written by Cris Rodriguez about 4 years ago. Much needed enhancement, thanks again for your excellent comparisons. #12 | Written by David Cain about 4 years ago. As our most critical VMs tend to have multiple CPUs we have never used vSphere FT, it would be good to do some testing on this. Many thanks for the clear article. #13 | Written by Andrea Mauro about 4 years ago. #14 | Written by Paulo Reis about 4 years ago. With these new features, we can implement new FT vm´s. I have lot of services that can be starting using FT in version 6 because they use 2 or 4 vCPU. #15 | Written by Dennis Parslow about 4 years ago. the use cases are still limited, but there are some, as opposed to FT 1.0, which really didn’t have a use case in our environment (after all, if it only needs 1 CPU, how critical can it be?). I’m excited to test this out, and see how the performance overhead really works out. 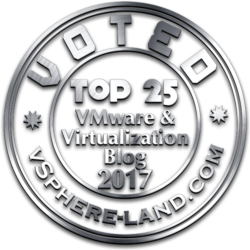 #16 | Pinged by vSphere 6.0 Link-O-Rama » Welcome to vSphere-land! about 4 years ago. #17 | Written by Nicholas Korte about 4 years ago. Great article, some really nice and much needed improvements coming to FT.
#18 | Written by Scott Clark about 4 years ago. Sounds like FT is now a viable option for workloads such as SQL Server and Exchange. #19 | Written by Andres Rojas about 4 years ago. #20 | Written by Dave Simpson about 4 years ago. #21 | Written by Looneyduk about 4 years ago. #22 | Written by Andrea Mauro about 4 years ago. But there are some interesting user cases and scenarios where can be really interesting. #23 | Written by Syed Fayyaz Hussain Rizvi about 4 years ago. #24 | Written by Alessandro about 4 years ago. #25 | Written by Rahim about 4 years ago. #26 | Written by vervoort jurgen about 4 years ago. #27 | Pinged by vSphere 6 Links Courtesy vSphere-Land. | Big Virtual Me about 4 years ago. #28 | Written by Andres Rojas about 4 years ago. #29 | Written by Ravi Venkatasubbaiah about 4 years ago. #30 | Written by Mohammed Sadiq about 4 years ago. #31 | Written by Geoff Neish about 4 years ago. FT looks to be better, but some small companies do not have 10GB yet so it will cost them more to use it. #32 | Written by Marc Stoffberg about 4 years ago. #33 | Written by Andrea Mauro about 4 years ago. #34 | Written by Wing about 4 years ago. It appears that SRM 6 does not support multi-cpu VM with FT enabled. #35 | Written by Andrea Mauro about 4 years ago. #36 | Written by Satish Kumar B about 3 years ago. In version6, we can assign 4vCPUs to the FT VM, thats great feature. #37 | Written by Nagesh Venkatesan about 3 years ago. Good improvement made by vmware!